Amid similar announcements made by his European counterparts, Secretary of State John Kerry, announced that the U.S. would accept 85,000 Syrian refugees in 2016 and 100,000 by 2017. This, no doubt, is welcomed news. Yet, while we celebrate this extension of good will to Syria’s refugees, there is another conflict that rages on with little attention to the humanitarian crisis it has wrought. In Nigeria, humanitarian interventions remain woefully under-resourced by the international community, leaving Nigerian civilians and churches to fill the void unsupported. The international community must and can do more. The Nigerian National Emergency Management Agency, the State Emergency Management Agencies, Nigerian civil society, INGOs, and UN agencies are frantically attempting to scale up their response, however, lack of capacity and chronic underfunding remain major challenges. Few humanitarian actors remain in the Northeast and many can only reach those in government-sponsored camps, which only account for 8-10% of those affected by the conflict. The remaining 90% of IDPs live hidden in host communities and informal settlements, resulting in vast unmet needs. 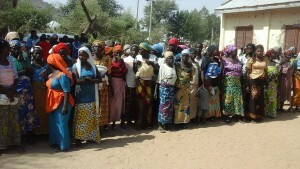 The UN OCHA estimates that only 50% of all conflict-affected peoples are receiving any assistance. The Ekklesiyar Yan’uwa A Nigeria (EYN), or Church of the Brethren in Nigeria, is one of the few local groups filling in the gaps. With support coming from the US Church of the Brethren, EYN leadership found new footing and created a crisis response team. As the violence spread in the fall of 2014, EYN Liaison Officer, Markus Gamache, opened his home to displaced families, friends, and others. 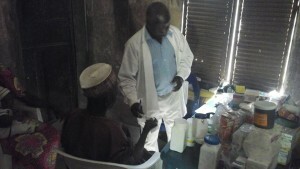 Soon 50 people were living in his two bedroom home located in Jos. As the violence spread and needs grew, Markus developed the vision for an interfaith camp to assist displaced Muslim and Christian families and promote interfaith co-existence. Working with the interfaith group, Lifeline Compassionate Global Initiatives, Markus developed a plan to build ten houses. By the spring of 2015, 62 homes neared completion with a projected goal to help 100 families. These efforts have resulted in thousands receiving food, water, and shelter. EYN’s Peace program is providing trauma-healing workshops for pastors, women’s groups, and lay leaders to help those suffering from spiritual and emotional trauma. Roy Winter, Associate Executive Director of the Church of the Brethren Global Disaster Ministries, highlighted the impressive show of resiliency and leadership the EYN team has demonstrated in providing relief to thousands through the remaining church structures. Despite the incredible work of this organization, and others like it, the needs of displaced people in Nigeria continue to outpace capacity and assistance, and barriers persist. 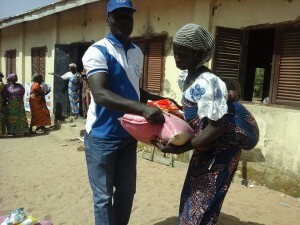 Reports on the Nigerian Federal Government’s limited, and sometimes counterproductive, response to the IDP situation have included the forced resettlement of IDPs back to conflict zones in an attempt to present a good image of the government’s efforts against Boko Haram. 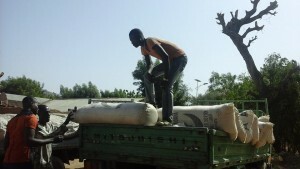 Trucks carrying hundreds of IDPs, without access to food, water, or health assistance during the journey, have made their way from Maiduguri to Gwoza, a stronghold of Boko Haram. Even among those who aren’t physically relocated back to active conflict zones, there are many who have decided to return, despite the security risk, when met with the harsh reality of limited assistance and conditions at IDP camps. The international community must act to properly fund operational humanitarian organizations and ensure that there is adequate funding for capacity training for local government agencies, civil society, and church organizations that are on the front lines of relief efforts. Moreover, the U.S. can do more to address and investigate allegations of forced migrations conducted by the Federal government. Civilian protection and assistance, particularly those most vulnerable, such as the elderly, women, and children, should be the priority. Authors: Kate Edelen and Nathan Holser, Director of Office of Public Witness. He formerly worked in Nigeria on peacebuilding programs.